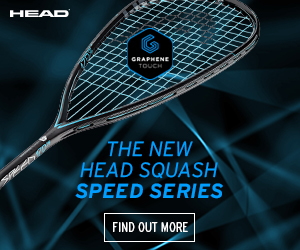 HEAD’s new range of Graphene Touch Speed squash gear is here, the perfect series of rackets for modern players with a fast game. Included in the range is the revolutionary Graphene Touch Speed 120 Slimbody which is a lightweight and very powerful option. 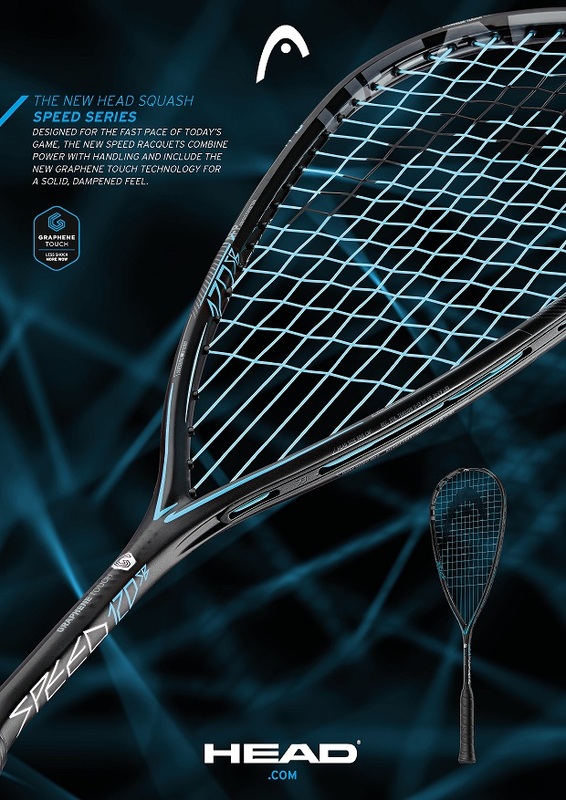 This new squash racquet boasts HEAD’s innovative Graphene Touch technology which uses the advanced graphene material engineered for enhanced control over shots, power and dampening. Vibrations are reduced quicker after contact with the ball, delivering solid feel and excellent touch so you hit more quality returns. So let’s have a look at this Slimbody squash racket in detail and see what it can do for your game on the courts. HEAD’s comprehensive range of squash rackets has options for all player types, whether it’s those wanting more control and touch or more power or something blending different characteristics. 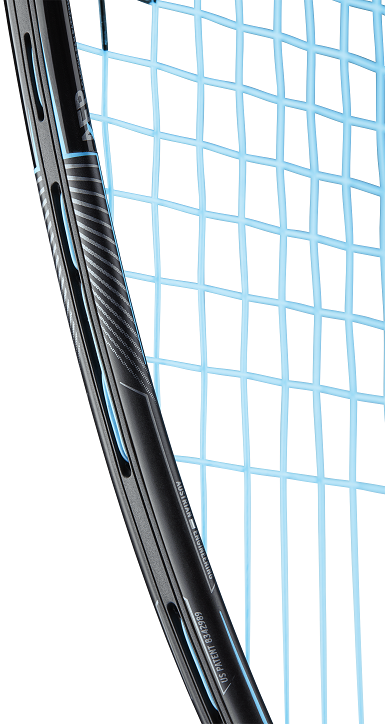 The Graphene Touch Speed series features fast rackets and it’s no different with the Slimbody. With a low weight of 120g (4.2oz), a head light balance and a large head size of 77.5in2 (500cm2), the racket is very light and manoeuvrable and offers a high amount of power potential. 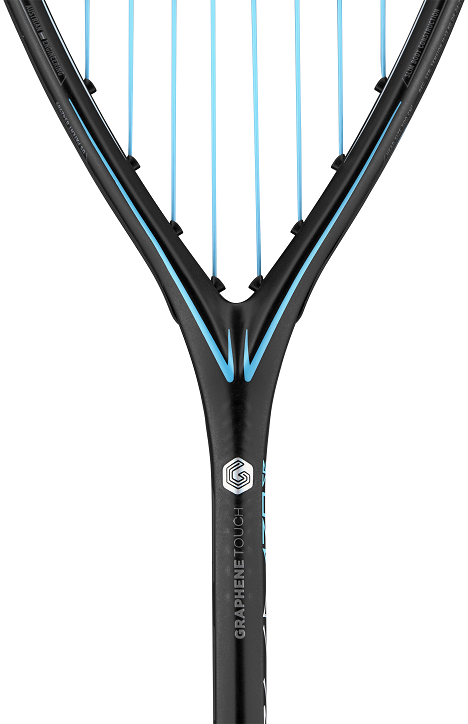 What’s more, the special Slimbody design makes the racket extra aerodynamic and streamlined, making it even easier and quicker to handle and allowing you to hit balls even closer to the wall than before. The Slimbody racket is also stiffer due to the Amplified Fibre Technology (AFP), so you can pounce on the ball and hit to greater effect with more powerful shots. 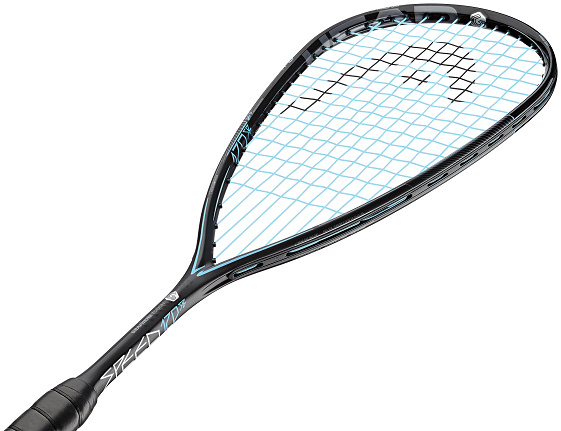 If you’re an attacking player who wants a light racket with plenty of power then the Slimbody is certainly aimed at you! Below you’ll find a series of detailed pictures of the racket. If you want to buy one then click either of the buttons above or below to see the racket in our online store. Now on sale at Sweatband.com with free UK delivery! Get The Slimbody Racket Here!